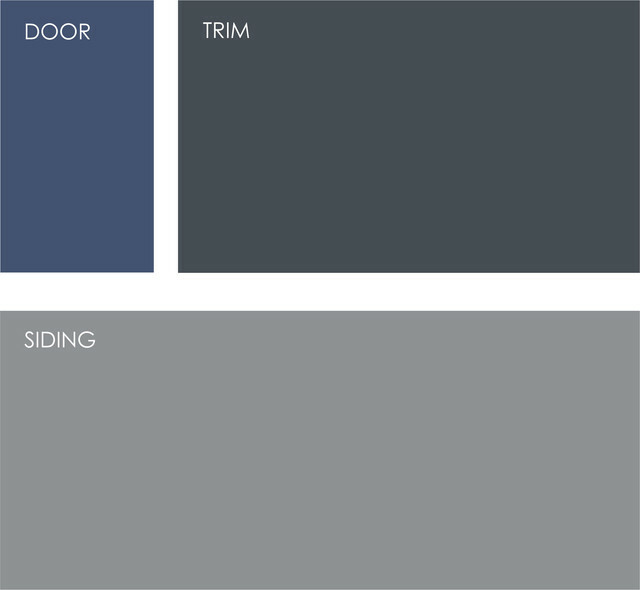 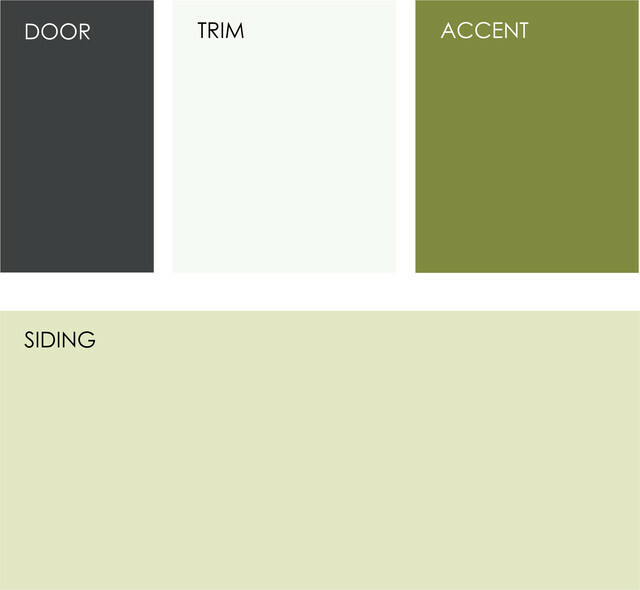 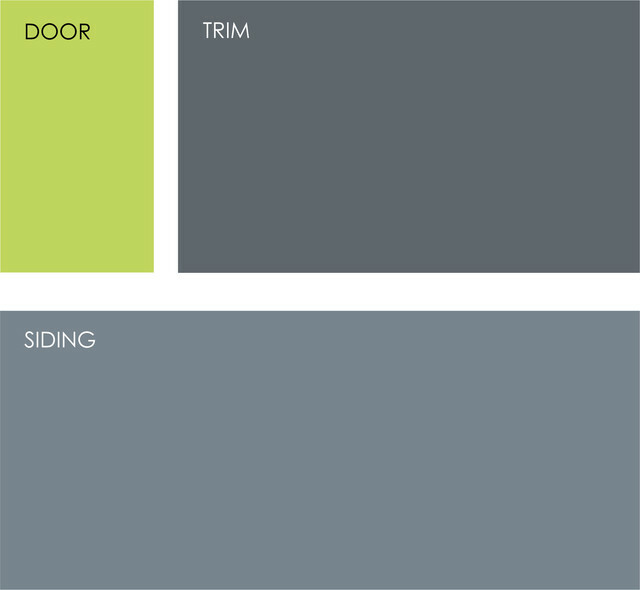 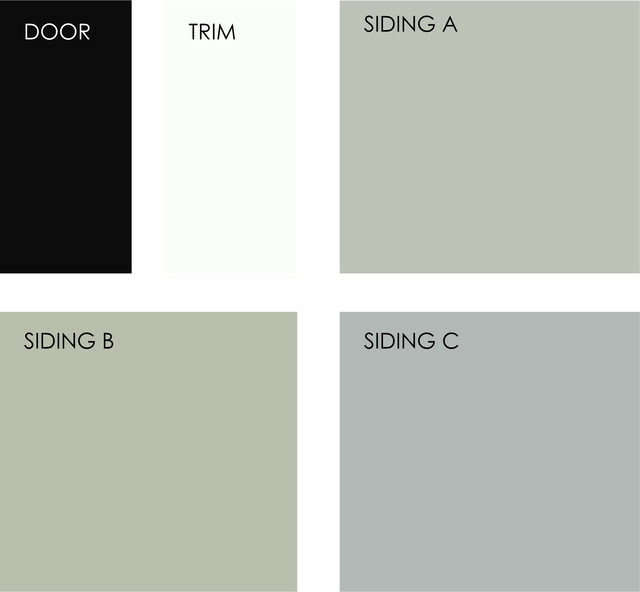 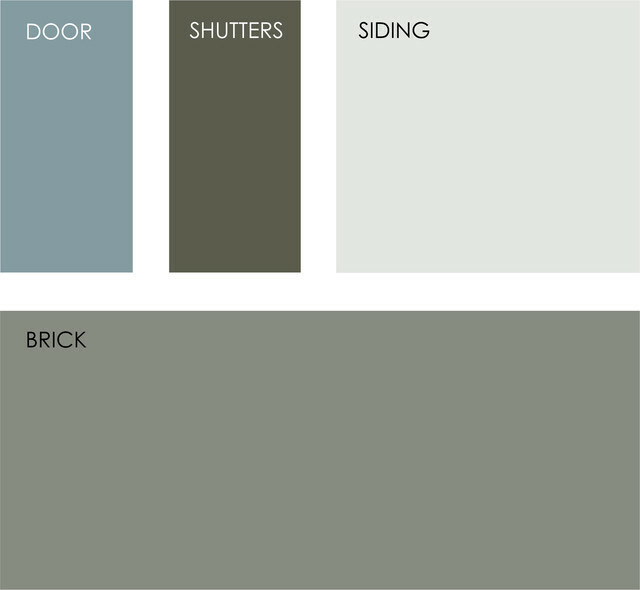 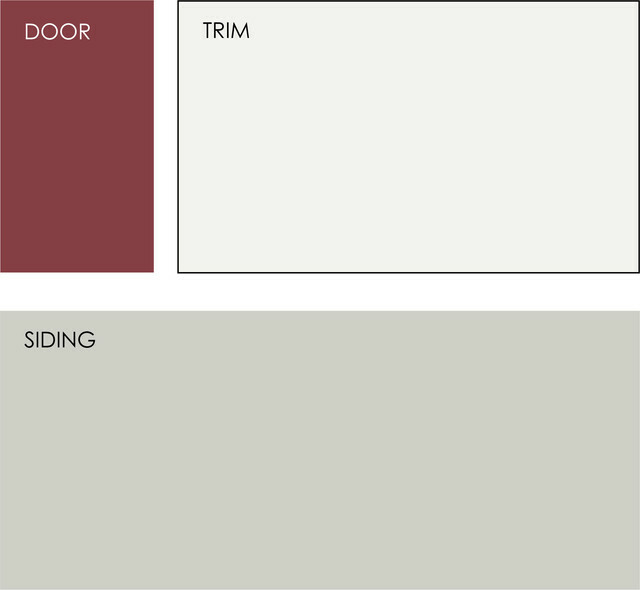 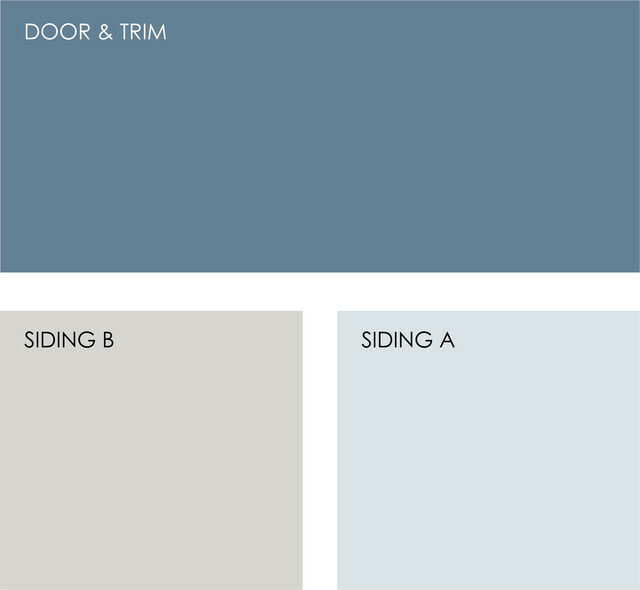 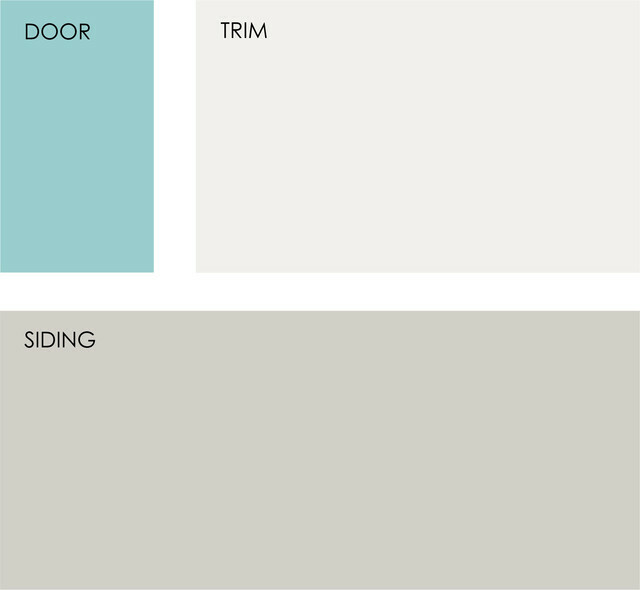 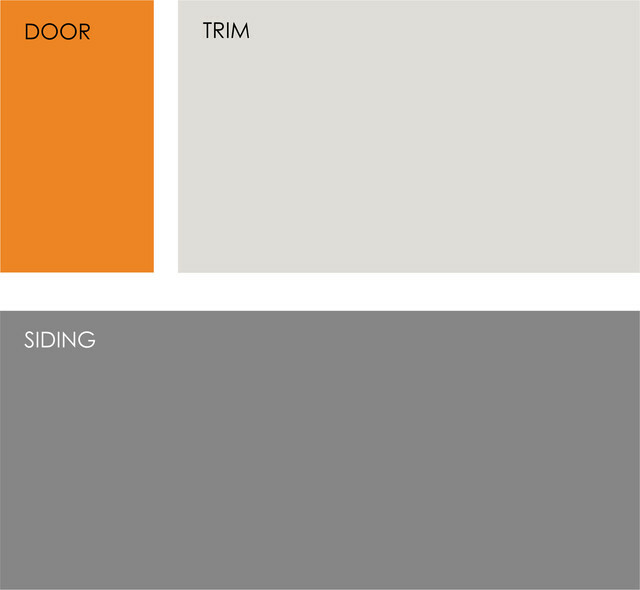 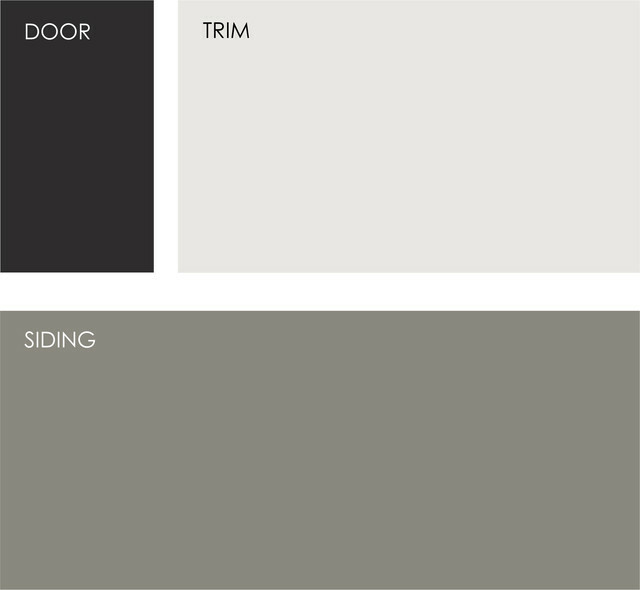 Example palette: With a steely blue door you have your pick of siding colors. 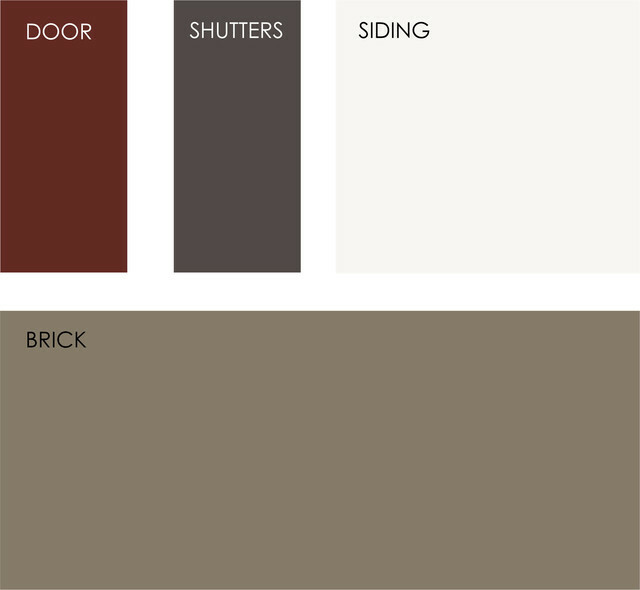 A couple of options are included in this palette. 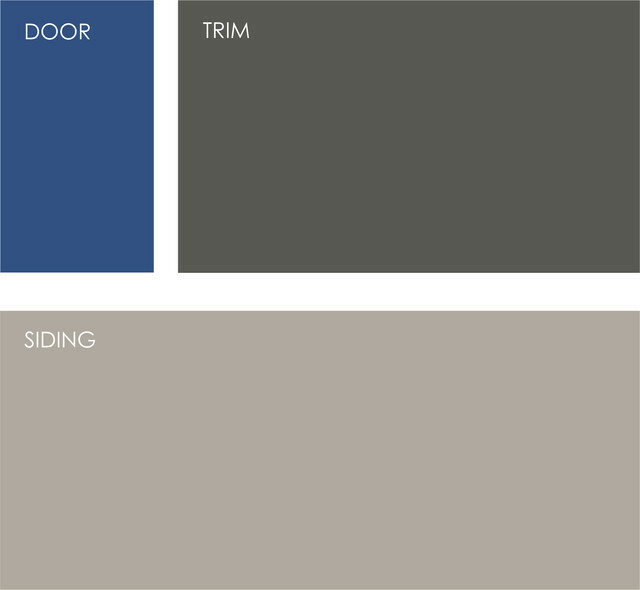 Clockwise from top left (all from Mythic Paint): Seaside Reflections 026-5, Kind of Blue 026-1 and Wrought Iron 140-1.
blue door and shutters, grey cedar shingle, and white trim, with black roof.